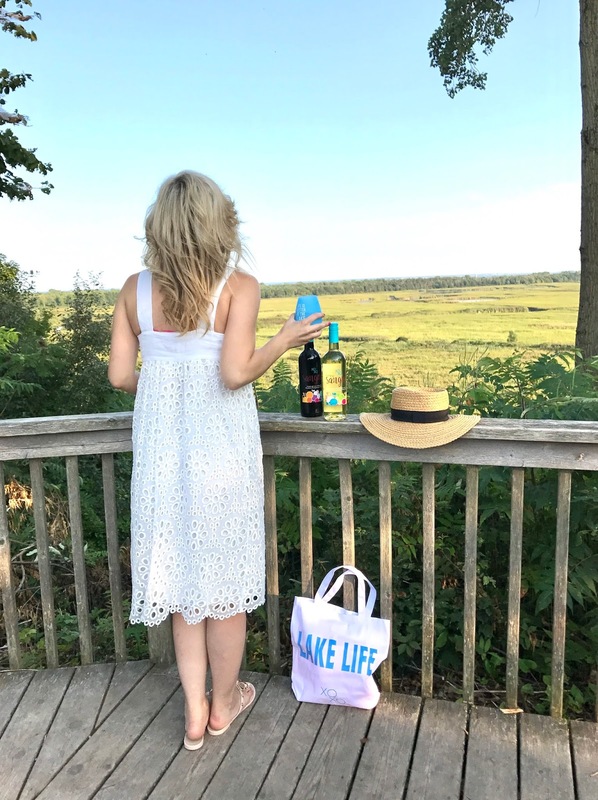 Nothing defines summer like being surrounded by nature at a beautiful location sipping a glass of your favourite wine. 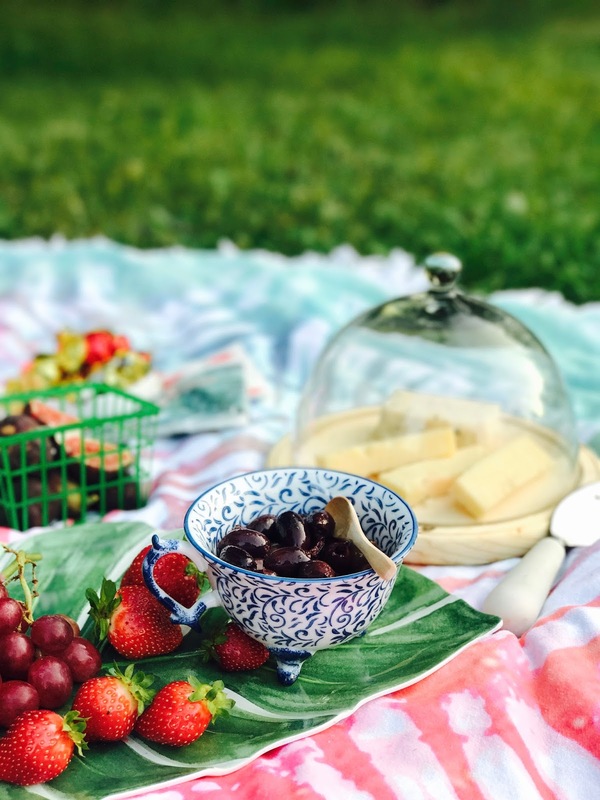 Fall is just around the corner, so what a better way to end summer than to host an end of summer wine and cheese picnic for your girlfriends? Picnics are so easy to host because of their casual vibe and how easy they are to prep for. 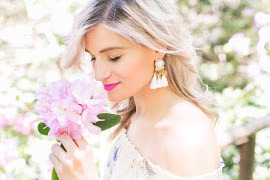 I thought I would share some tips how to host the perfect picnic for your girlfriends especially since summer is almost over. 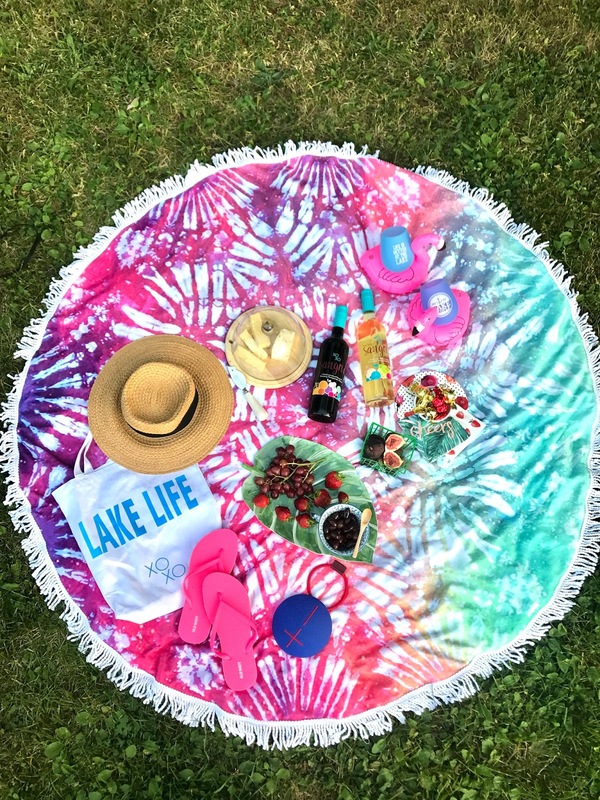 While I try to keep picnics simple and casual, there are still some things that are essential in having a successful summer gathering with your girlfriends. Like say, Wine? 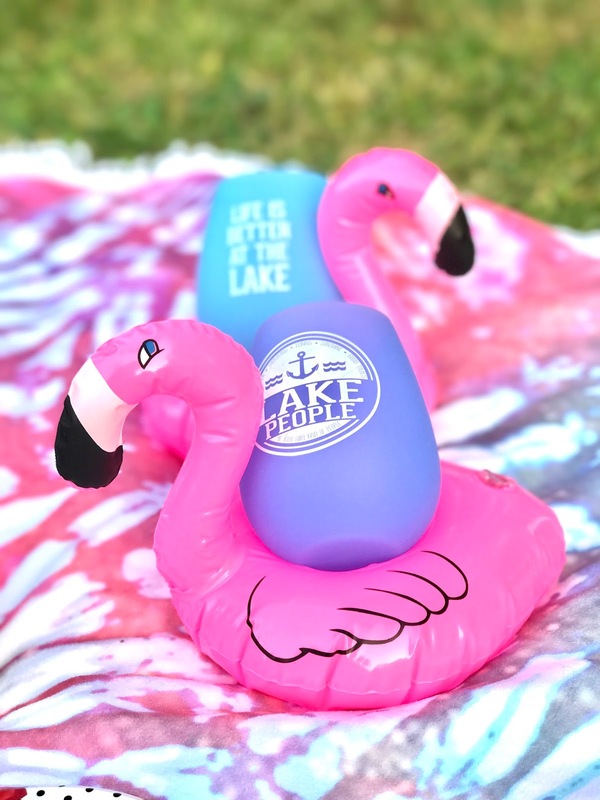 Packing light for a picnic is a must. You definitely do not want to be carrying tons of bags with you. Keep it simple and bring with you only the essentials. I recommend serving cheese on a board that has a lid that way you don’t have to worry about flies or bugs getting on your spread. Wine glasses are beautiful, but not the kind of glass you want to be packing for a picnic. For my picnic gathering, I went with the cutest plastic glasses to match the fun colourful theme of the picnic. 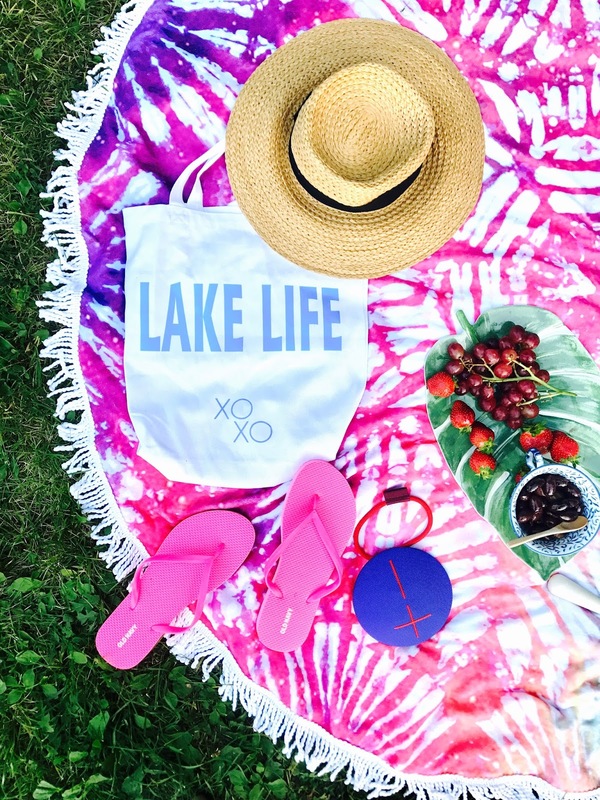 Location is always key when you want to put together a picnic for your girlfriends. Of course company trumps all other elements, but location is just as important to set the mood for a successful gathering of chit chat, laughter and memorable moments. Picnics are defined by beautiful landscapes, lots of greenery, and a serene atmosphere so pick your picnic location wisely. You’ll be fine as long as there is wine. I would define myself as a casual, unpretentious wine connoisseur. One of my favourite summer drinks is Sangria! 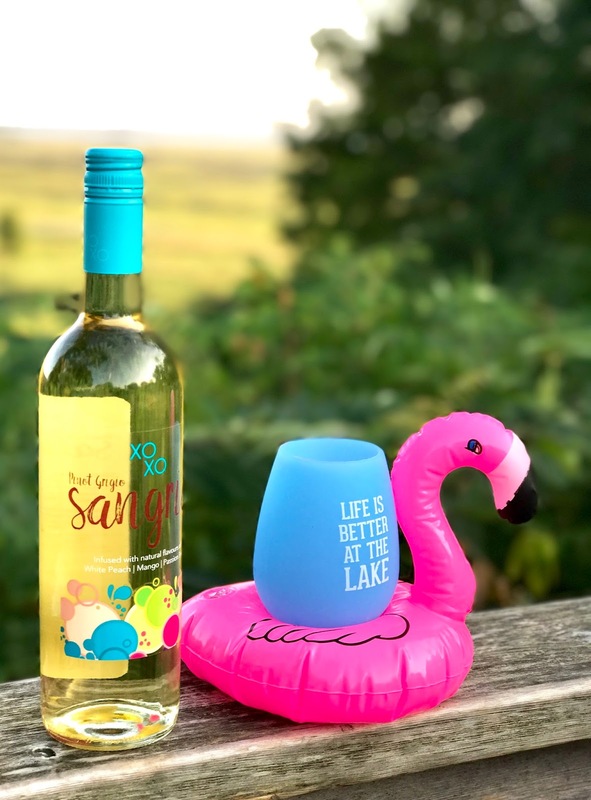 XOXO Wines has a light-bodied Sangria with semi-sweet fruit flavours of pomegranate, blueberry and orange, with hints of purple grape, that will immediately quench your thirst and refresh your palate. This is their Red Sangria! To give my girlfriends the option I also added to our wine choice a White Sangria so they can try both or choose according to their liking. The XOXO Pinot Grigio Sangria is a light-bodied with medium-sweet fruit flavours of white peach, mango and passion-fruit. It also has some hints of pear and floral. 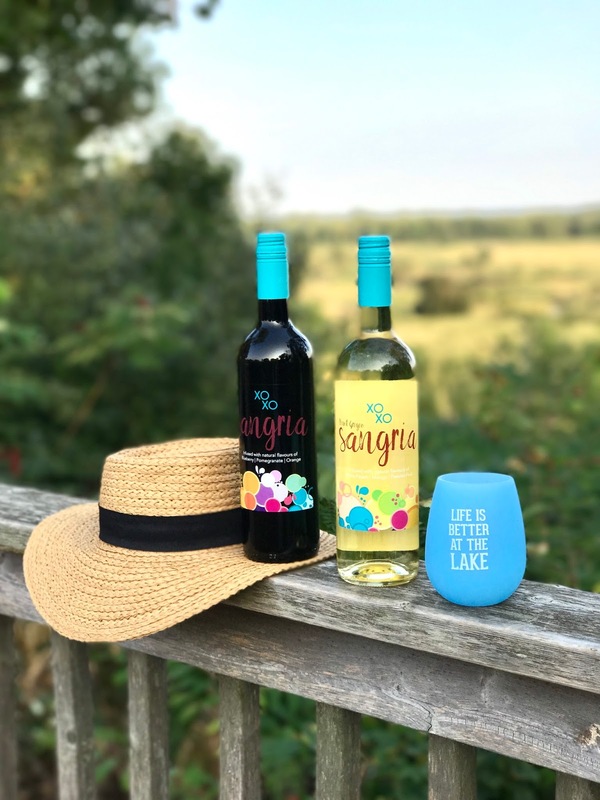 I find these two XOXO Sangrias to be the perfect summer drink not only because of the summery element, but also because it pairs well with so many different foods, making it the ideal wine to serve during any gathering especially a picnic. When it comes to entertaining outdoors, especially picnic gatherings your spread should be as simple as possible. 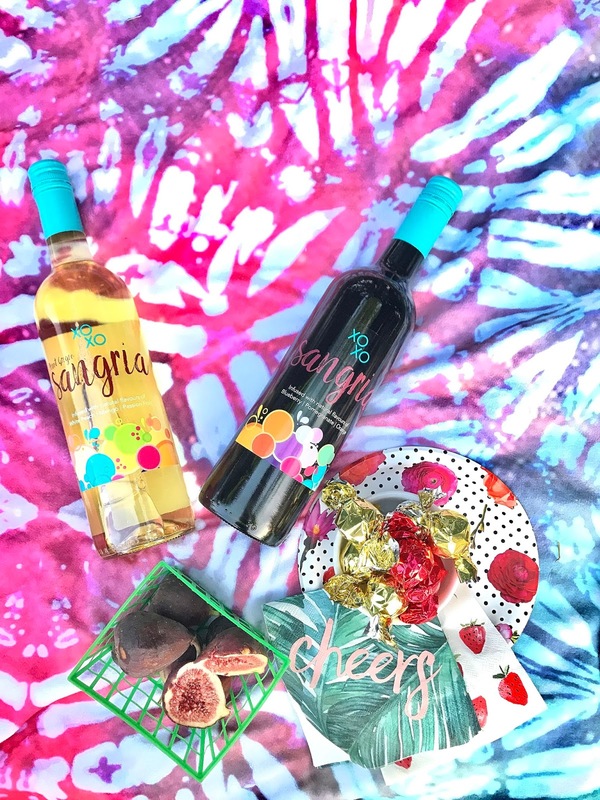 To match my laid back feel of my picnic I decided to go with a Wine and Cheese theme picnic.I paired the XOXO Pinot Grigio Sangria and Red Sangria with a tray of red grapes, strawberries and figs. I also packed olives, crackers, crostinis and nuts (not shown in pictures). So many reasons to love Sangria especially since you can pair your glass of Sangria with any food you love. The last addition to my food spread for my XOXO Wine pairings was chocolate. I usually pair the Red XOXO Sangria with spicy salami and chorizo because it balances out well the falvours. 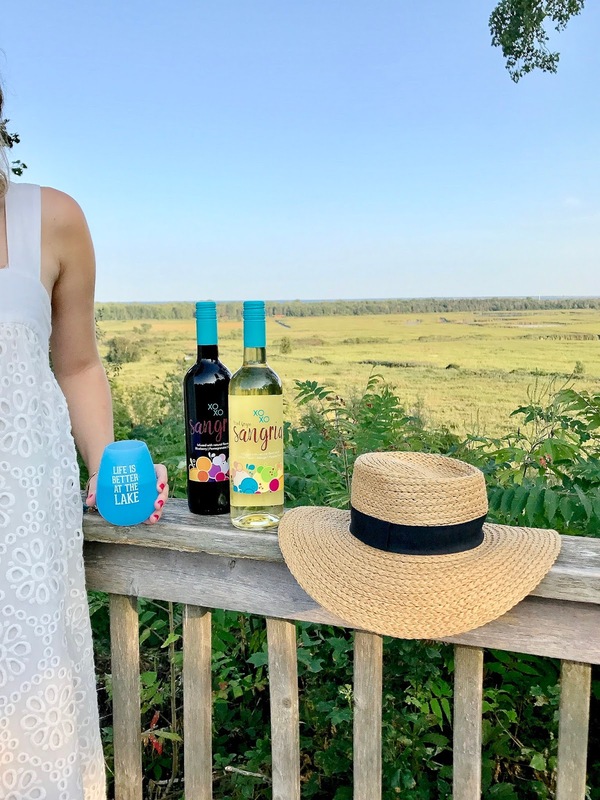 For those that prefer the XOXO Pinot Grigio Sangria, I love pairing it with guacamole or shrimp which are also easy to pack and take to your picnic. Like your typical wine, sangria also goes well with cheese. From Gouda to Havarti to even blue cheese, I created a tray of mixed cheese for the perfect wine and cheese picnic. Serve the cheese with the crackers or crostini and add a slice of fig on top. Delicious! 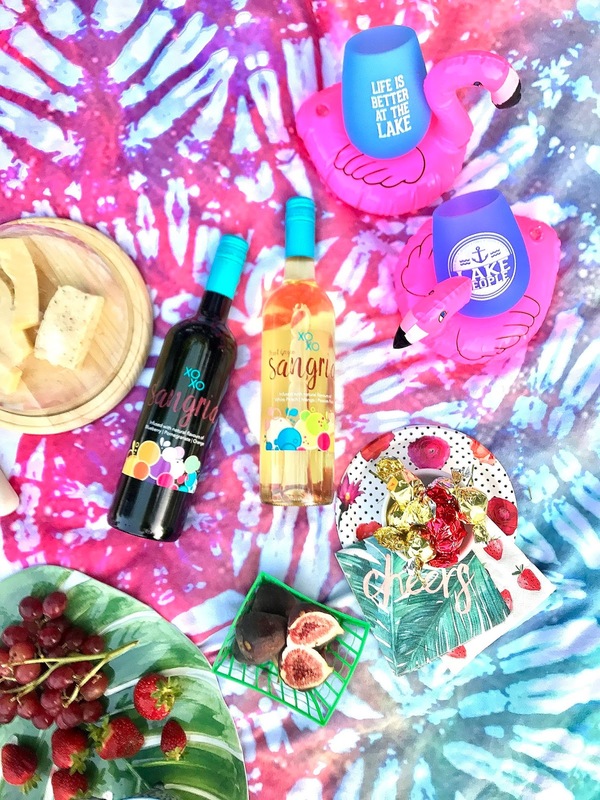 I love the casual vibe of picnics and just sitting down on a blanket tasting the delicious spread and sipping the refreshing XOXO Sangria, but not so fast! 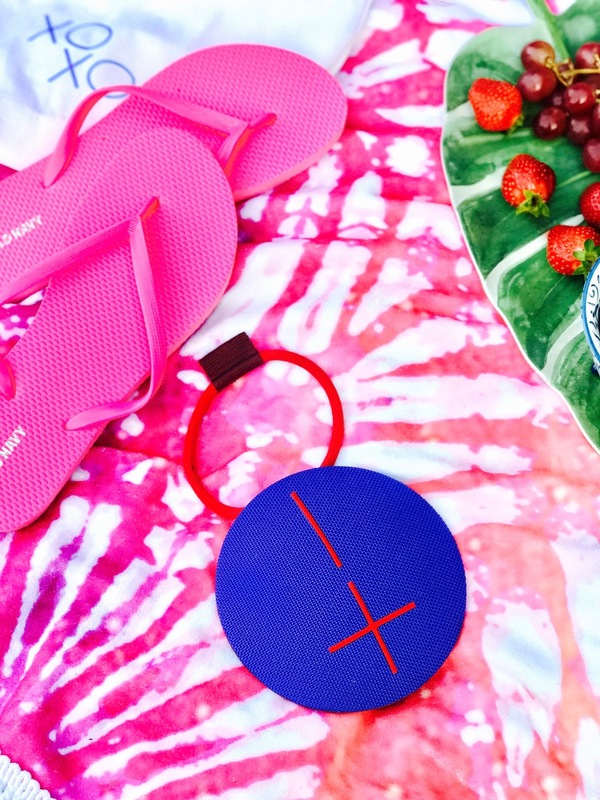 Tunes are just as important to set the mood of your picnic. I usually bring my speaker with me and connect to my iphone to create the perfect atmosphere. 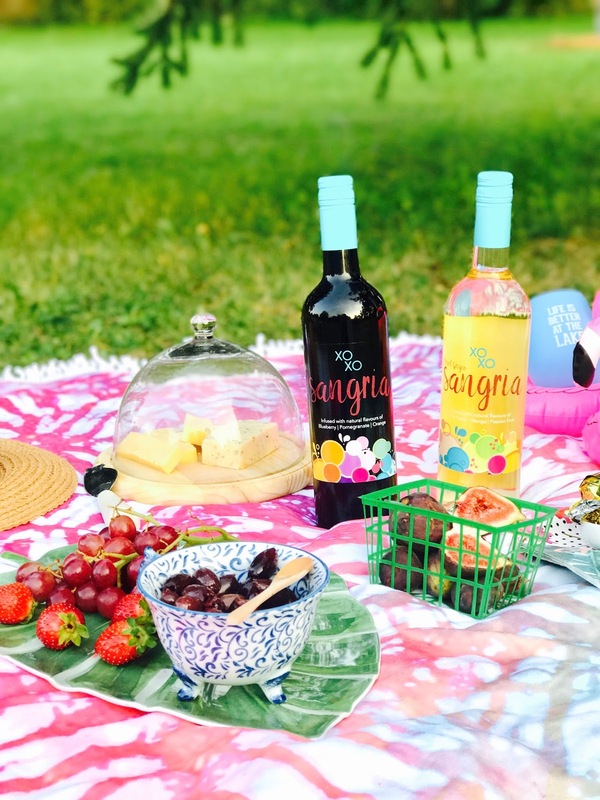 So there you have it, how you can also host the perfect end of summer wine and cheese picnic for a fun afternoon or evening with your girlfriends serving my favourite bottles of Sangria. 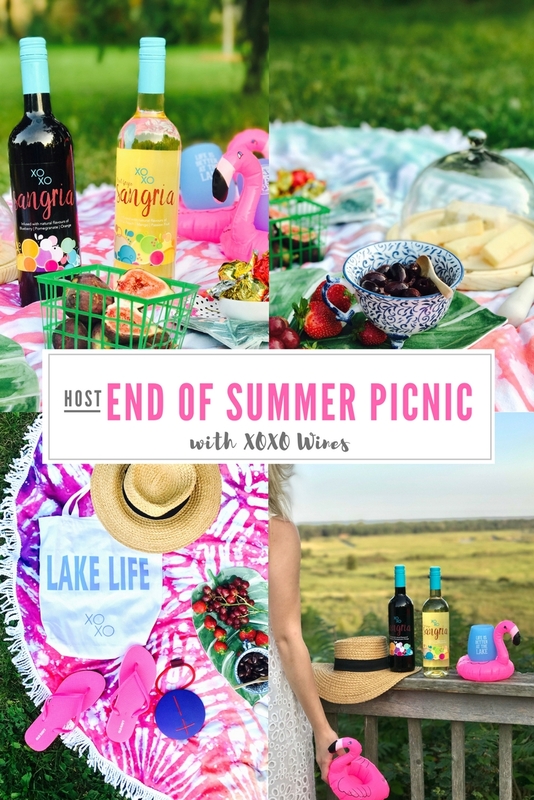 Thank you to XOXO Wines for collaborating with me on this post to create the perfect end of summer picnic.